Synthetic motor oil is the best possible oil that you can provide a gasoline or diesel powered vehicle. Oil is the most important auto service product that requires regular replacement to ensure that the motor continues to perform as expected. The best synthetic motor oil is Mobil 1 94001 5W-30 with its outstanding wear protection due to superior lubrication in high and low temperatures. 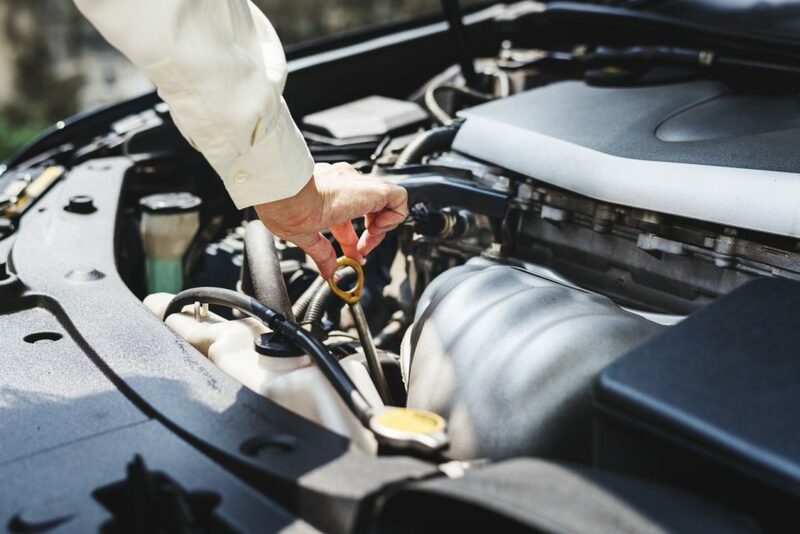 The reason motor oil is so important is due to the fact it lubricates the engine to reduce wear, friction and the break down of components from engine heat. It also cleans all the dirt and passes heat around the engine. 8.1 Difference Between Synthetic and Regular Oil? 8.4 What Happens When You Drive A Car With No Oil? Servicing your vehicle with synthetic motor oil will increase the engine life and ensure the car remains running smooth. Motor oil for high mileage cars or even cold weather are just some of the categories that some oils are designed for. Full synthetic motor oil is slightly more expensive but the range of benefits makes it a worthwhile investment. Cheap oil is often recycled, which makes it less beneficial and it will not perform as you would expect. Investing into quality synthetic motor oil will ensure that the moving components are lubricated and increase the longevity of your engine. Below is a list of the best synthetic motor oils for optimum performance and engine cleanliness. To kick things off, we have Mobil 1, which is the most popular branded synthetic oil. 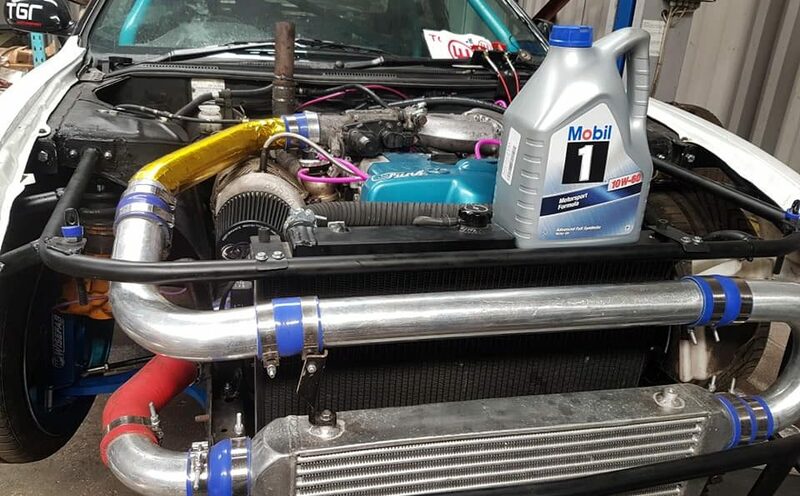 Mobil 1 recommend using their 5W-30 oil in turbo charged and super charged gasoline engine cars as well as multi valved fuel injection engines. Mobil 1 94001 is highly recommended for modern cars and everyday driving that require a 5W-30 viscosity rating. The advanced formula provides excellent properties that prevent wear and tear of the engine components, thermal and oxidation stability, increase in fuel economy and easier car start ups in the morning. Overall, it is the best synthetic motor oil for your car that ensures the engine has superior lubrication for all moving parts. Using the Mobil 1 as your first choice synthetic oil will give various benefits such as smoother engine and better performance all round. The Castrol 03101 Edge formula claims to have a 42% better rating of fighting power to provides the highest level of protection. The advanced synthetic oil formula means that the engine has excellent lubrication to prevent wear and tear and allows your car to drive at maximum power. Castrol is known for working with high end car manufacturers such as Volkswagen, Jaguar and Land Rover. This means they are able to rigorously test to improve their motor oils worldwide thus making them a market leader. The Castrol Edge is an advanced premium synthetic motor oil that has been tested under intense pressure and is one of the best motor oils you can buy. Using Castrol 03101 0W-40 motor oil, you can expect engine noise to be reduced to a minimum as well as a smoother engine. For drivers of diesel powered vehicles, you will want to a specific motor oil for diesel engines. Shell’s Rotella T6 synthetic oil is the best option and it can be used for regular diesel vehicles, classics, heavy duty trucks and even tractors. In order to adhere to the latest emission standards, the Rotella formula made by Shell includes lower levels of ash, phosphorous and sulfur. By using this synthetic oil in your diesel motor, you will also notice a reduction in engine noise too. If you are driving in very cold temperatures, the Rotella T6 uses a high viscosity level to improve the flow and provide protection against degradation. Overall, it is the best synthetic motor oil for diesel cars that require a heavy duty engine oil formula. Pennzoil are a highly popular automotive brand in the US and the Ultra Platinum is their most popular synthetic oil. It has been designed to deliver a faster low temperature oil flow as well as providing excellent protection to extreme heat. Overall, the Pennzoil Ultra Platinum is a great all-rounder that promises improved responsiveness, smoothness and a quieter engine. 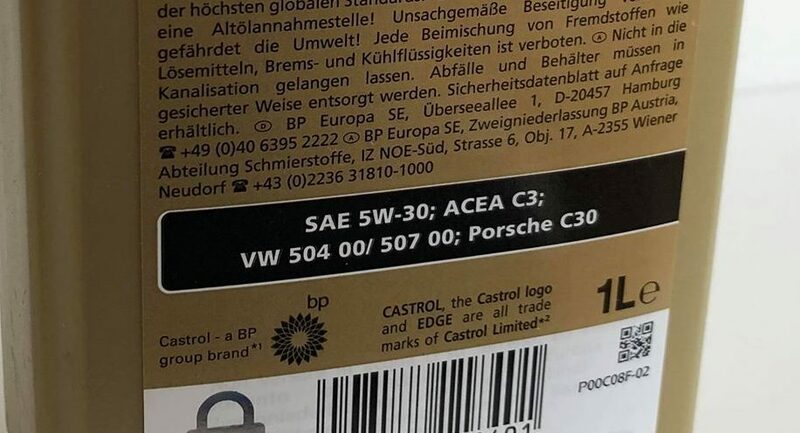 It is also relatively affordable full synthetic oil and is available in a 5 or 1 quart bottles size, which is great for keeping in the trunk for topping up when required. Royal Purple 51530 fully synthetic is the oil of choice for drivers looking for a high quality performance motor oil. It has a refined formula to increase power and improve the smoothness for those with high power engine vehicles. For older and highly mileage vehicles in particular, the Royal Purple 51530 can assist with the reduction of oil consumption as well as increasing lubrication to increase the lifetime of the engine components. Overall, the Royal Purple oil is slightly more expensive but it is highly rated and it the best high performance motor oil for gasoline engines. The cheapest synthetic oil that is highly rated is the Valvoline SynPower motor oil. The American owned and operated company have produced this oil to meet regulations of the majority of cars manufactured in North America. Benefits of using Valvoline SynPower is an improvement of fuel efficiency, high temperature protection under severe driving conditions and cold temperature protection protection through faster oil flow. It also provides provides improved engine cleanliness through fighting tough sludge and varnish. Overall, it is the best synthetic motor oil for the money when compared against other premium motors oils that provide similar benefits. Oil for your cars engine is an essential. It is not a luxury that you can simply ignore and it must be replaced as per the vehicle servicing schedule. Many car owners avoid the servicing as it is a cost they would like to prevent. However, failing to service your car on a regular basis can result in a much greater repair bill. Synthetic oil is seen as the best but some cars may require semi synthetic with low ash ratings. Some motor oils are also dedicated for high mileage cars whereas others are for cold weather but this is suited to specific vehicles. To help you make an informed buying decision, we have produced the below buying guide to improve your knowledge of motor oils. Difference Between Synthetic and Regular Oil? Regular oil are naturally occurring mineral based oils that are refined from crude oil. They are cheaper, protect the bare minimum of engine components and need to be changed more often. Synthetic oil is a combination of man made oil and mineral based or just fully man made oil, which is refined further in chemical plants. They provide maximum protection for the components of the engine and are able to withstand higher temperatures than regular oil. The oil costs more than the regular but lasts much longer and provides far greater protection. Synthetic oil can come in two forms, which are semi synthetic and fully synthetic. The main difference is that semi synthetic oils uses both synthetic and mineral oil and fully synthetic oil are contain no mineral based oil. The viscosity of a motor oil basically refers to the oils resistance to flow and shear. The best way to describe viscosity is to imagine water and syrup, which are common household liquids. Water has a low viscosity grade whereas syrup has a higher viscosity grade. With that being said, you need to choose the correct viscosity grade for your motor. This will be listed in your vehicles manual but you may choose a different oil based upon the type of driving you do, weather and the age of your vehicle. For example, if you live in a area that is below freezing the majority of the year, opting for a lower viscosity motor oil is recommended. If you are driving in extremely hot weather, involved in racing or haul heavy loads, you will want a higher viscosity motor oil. The viscosity rating of the oil can be found on both the front and back of the bottle. The back of the bottle will provide further details including the oil specification, which is shown in the image below in the black rectangle. Another rating that you should ensure that you should check is the oil specification. The purpose of the specification is to determine the type of oil that is suitable for the engine in order to provide optimum performance. These specifications will vary between manufacturers and its important that you follow them not only for performance but for warranty claims too. If you use an incorrect oil for the engine and problems occur, the manufacturer may reject any warranty claims, which could be costly. What Happens When You Drive A Car With No Oil? Driving a vehicle without oil will lead to engine failure and fairly quickly too. The pistons within the engine will be going up and down very quickly and without the film of oil between the pistons and the bore the car will begin to rattle. This will result in the distance between the crank and the bearing becoming greater and the noise increasing. After a while, there will be a heavy knocking noise from the crankshaft and once you have heard that, the car will break down, the engine will cease and it will require a new engine. The amount of people that do not check the oil in their cars, let alone know where the location of the dipstick is worrying. You should be checking the oil at least once every 3 months. An engine rebuild will set you back around at least $2000, so its worth the check and topping up when necessary. Checking your oil is a very simple tasks that you should do at least once every 3 months or before any large road trips. To begin, park your car on level ground so that it doesn’t hinder the results. You will want to have a cold engine so that you do not burn yourself unless its recommended to have it hot by the manufacturer. Open the bonnet and locate the dipstick that should be clearly visible. Pull the dipstick out of the engine and clean the oil at the end. Once clean, place the dipstick back in and then pull it back out. Analyze both sides of the dipstick and check where the oil level is with regards to the dipstick measurement. Usually the indicator will be L to H, Min or Max or a cross hatching. If the oil is no where to be seen, buy the best synthetic oil and place it into the engine. If the oil level is correct, check the color of the oil. The correct color of oil should be brown or black. If you notice any form of metal particles within the oil, this is a worrying sign that their is internal damage within the engine. Many people may even use an oil additive to help extend the life of the oil. It does this by altering the viscosity of the oil and ensures that it is not too thick or too thin. You will first need to choose the recommended synthetic motor oil for your car which can be found in the handbook. With the oil to hand, locate the oil filler cap. which usually has an “oil” marked on the lid or an icon of an oil can. You should never overfill the engine with oil. It is can cause damage, therefore fill pour small amounts into the engine and check the dipstick regularly. Start by placing a funnel over the top of the spout and pour the synthetic oil in. Check the dipstick to ensure that the oil level is in correct after each half a quart. If you find yourself regularly topping up, this could indicate that your car is burning oil or there is an oil leak of some sort. Using synthetic car oil is essential for ensuring your car is running at its maximum performance and efficiency. It also helps protect the engine components from wear and tear, which will help improve the lifespan of the engine. Around a decade ago, there were only a few synthetic oils to choose from, but now the variation can be quite confusing. When using synthetic oil, its recommended that you use an oil filter for synthetic oil as well to ensure all dirt and debris is filtered. Motor oil is one of the most important service products and its worth spending the extra for the best. 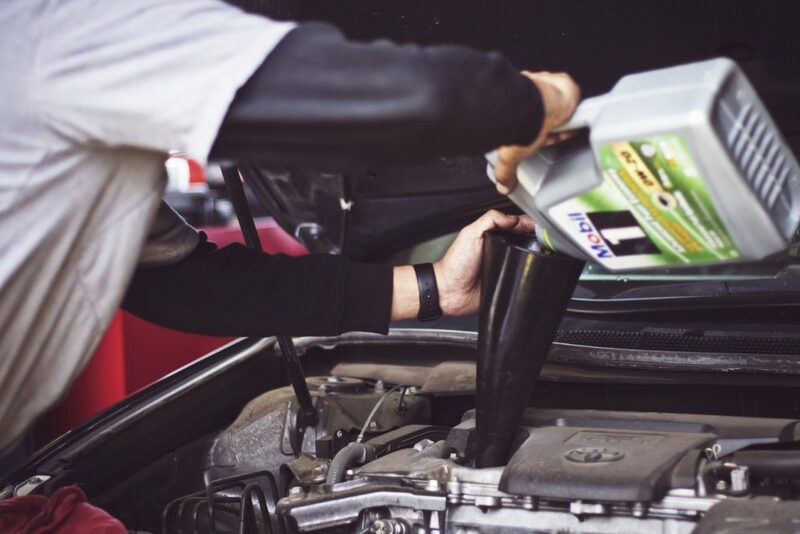 Investing into quality synthetic oil will provide you with peace of mind that the engine has the best possible and helps the engine run far better.